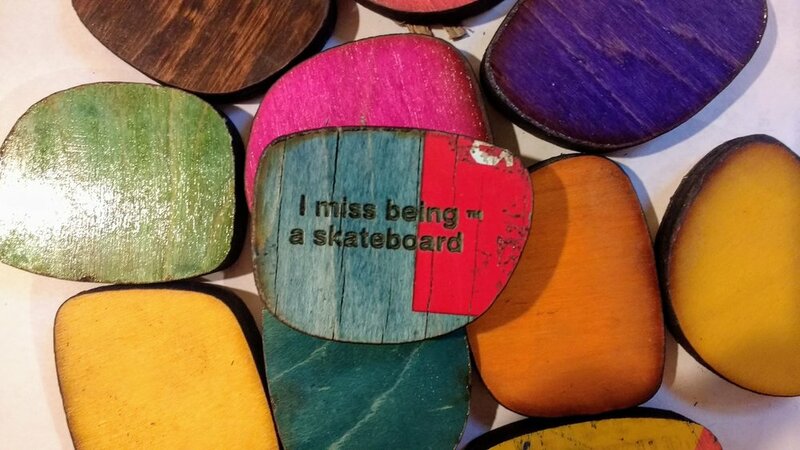 For every skateboard that we save from the landfill, we can create 6 pairs of SK8Glasses™. But what's left behind? The pieces and parts! 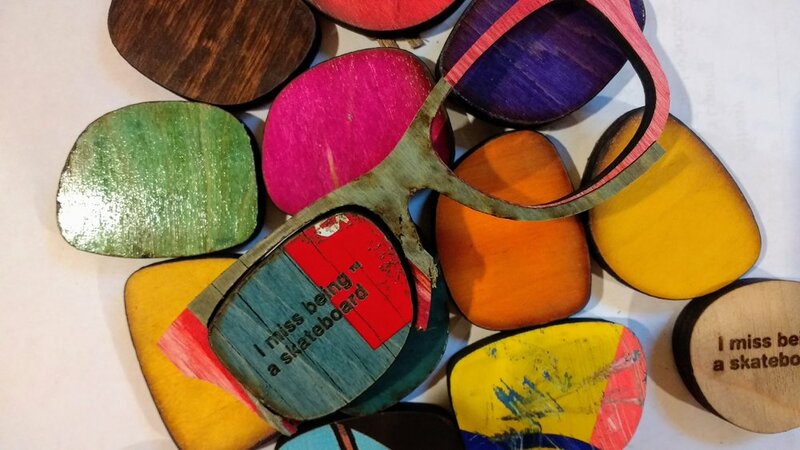 The scraps are almost as cool as the sunglasses themselves, full of character and color. We usually send them out to customers when they order, to let them in on the cool story behind our glasses! Check out some photos of our favorite scraps below!